Authored by Professor Janet Hoek, Emeritus Professor Phil Gendall, Professor Richard Edwards & Dr Ninya Maubach. 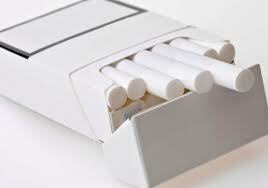 Allan Main raises questions about the likely effectiveness of plain packaging and suggests we need to take more heed of some economists’ claims, namely that plain packaging will lead to increased price competition which may, ironically, increase tobacco consumption. We disagree with Main’s arguments, which we suggest are based on flimsy evidence, overlook important and robust research evidence, and ignore the power of governments to redress unintended consequences. First, let’s look at Main’s claim that economists hold a remarkably consistent view that plain packaging will “cause [tobacco] consumption to increase”. Main bases his argument that economists uniformly believe plain packaging will lead to unintended and harmful consequences on the views of two economists: one from a right wing think tank and the other a Philip Morris consultant. He suggests economists are best placed to: “predict this outcome, being the science that explains dynamic responses in dynamic systems whereas all the other disciplines that have fuelled the debate are directed at steady-state and single point analysis of the problem”. However, the economists Main quotes show no evidence of any such systems thinking. Instead, they have applied only basic epidemiological analysis in the examples quoted. For example, they make an ecological comparison of US and Canadian smoking prevalence and report simplistic before-after comparisons of the impact of graphic health warnings on smoking prevalence in Canada, while ignoring far more sophisticated analyses, such as those presented in papers based on the International Tobacco Control (ITC) study. A quick web search revealed strong diversity in economists’ views, which Main, somewhat contradictorily, acknowledges later in his piece. Howard Reed (whom Main cites), from Landman Economics, criticises claims that plain packaging would lead to price decreases and concludes: “[the] emphasis on branding as the sole determinant of cigarette pricing and of the oligopolistic structure of the current cigarette market in the UK and elsewhere is misplaced”. He continues by stating: “to the extent that the introduction of plain packaging does result in a fall in cigarette prices, I show that tobacco duties can be adjusted to compensate for any fall in the prices charged by retailers, leaving the average post‐reform price unchanged from the pre-reform price” . Closer to home, Professor Harry Clarke and Dr David Prentice from La Trobe University in Melbourne concluded: “Australia’s plain packaging package seems at worse to be a costless experiment that provides valuable information on the effectiveness of plain packaging at almost zero public cost.” Main argued that this statement contradicted their earlier comments; however, crucially, he omits to quote the next sentence from their article: “There will be no harmful effects and possibly significantly beneficial effects in reducing deaths from smoking” . Professor Anna Gilmore is another of the many exceptions to Main’s claim of unanimity among economists. She commented more generally about the uptake of an apparently ‘independent’ report and issued this warning: “Industry funded analysts produce unbalanced and misleading reports, these get recycled by lobbyists and front groups and in due course crop up in the speeches of industry friendly politicians. Thus essentially bogus claims become accepted as ‘fact’” . A closer analysis of Main’s sources reveals that the Montreal Economic Institute (MEI) is a well-known right-wing think tank. That doesn’t mean we should automatically dismiss its conclusions, but it’s not the “evidently independent” group Main suggests it is. Nor does it issue uniform calls for evidence. For example, the MEI report states there is no evidence plain packaging will reduce consumption but has no qualms about the lack of any supporting evidence whatsoever when drawing conclusions such as: “(I)nstead of reducing health risks, this policy would achieve the exact opposite of its stated purpose by leading to an increase in the number of smokers”. More importantly, the conclusions Main advances using the MEI’s work are fatally flawed and fail to pass even the most rudimentary common-sense hurdles. It is self-evident that there is no causal evidence linking plain packaging to reduced smoking prevalence – that’s because plain packaging has not been introduced anywhere, which makes it impossible to gather the longitudinal data we need to test causality. In these situations, researchers use other approaches to develop and test the policy evidence base. Main completely overlooks this evidence base, which provides important insights into the likely effects of plain packaging. Experimental studies have consistently shown that plain packaging will reduce the attractiveness and appeal of tobacco products, diminish the experience of smoking, and undermine the cachet smokers obtain from smoking [4-6]. Other experimental studies have shown smokers will avoid selecting plain packages and are significantly more likely to engage in quit-related behaviours if tobacco comes in plain packages . Ecological studies support these conclusions , as do qualitative explorations of the psychological benefits tobacco brands confer on smokers [9, 10]. In short, there is strong and diverse evidence that plain packaging will reduce the appeal of smoking, enhance the salience of health warnings, and reduce the misleading impressions currently created by colour-coded packages (which deceptively signify reduced harm products) . Main’s reliance on other conclusions from the Montreal Economic Institute is also misplaced. Testing the effect of graphic health warnings just one year after their introduction is highly unlikely to reveal significant effects on smoking prevalence; the time period is just too short. (Incidentally, this is exactly what Simon Chapman, Professor of Public Health at the University of Sydney, predicts will happen when plain packaging is introduced – studies will be produced to show no reduction in smoking prevalence in time frames too short to expect any effect.) In fact, data from longitudinal studies such as the ITC show graphic health warnings have reduced smoking prevalence. There is strong evidence that smokers who notice the warnings and think about these are more likely to make a quit attempt and become smokefree. Main also fails to address the irony implicit in all the tobacco companies’ arguments: if plain packaging really increased smoking prevalence, they would welcome it with open arms. Tobacco companies are in an invidious position: they kill half of their consumers and must thus recruit new smokers not to grow, but simply to maintain their position. It defies belief that they would trenchantly oppose measures economists predict would increase smoking prevalence. Main admits that he is not an economist, so perhaps he can be excused for not appreciating the fundamental caveat of economists, ‘other things being equal’. If the price of cigarettes falls, demand among smokers should increase – other things being equal. However, even if tobacco companies colluded to drop the price of their lethal products, governments can intervene overnight to adjust the excise tax and restore prices to their former level. The New Zealand government has increased excise tax under urgency (measures introduced around 5.00 pm took effect from midnight the same day) and there is no reason why it should not do so again. The evidence for plain packaging is strong and the findings from diverse studies that cross disciplinary boundaries and international borders are strikingly consistent in their conclusions. Main ignores or overlooks the fact that the tobacco industry has claimed that every tobacco control measure ever proposed either can’t be done or won’t work. But the fact is that many countries no longer allow tobacco advertising and sponsorship, and smoking in work places, bars and restaurants no longer occurs. In countries where these measures have been introduced smoking has dramatically declined. Plain packaging is just the latest in a series of measures designed to mitigate the deadly effects of tobacco. No-one expects plain packaging to miraculously persuade seriously addicted smokers to quit, but it will deter young people from experimenting with this toxic, addictive substance and, over time, reduce the prevalence of smoking in New Zealand. Disclosure: We are researchers whose work develops and tests interventions that will support the government’s goal of a smokefree nation by 2025. Our team comprises clinicians, epidemiologists, public health physicians, policy experts and marketing academics (one of whom trained as an economist). 1. Reed H. Analysis and review of J. Padilla, “The impact of plain packaging of cigarettes in the UK: a simulation exercise”. A report by Howard Reed of Landman Economics for Action on Smoking and Health UK, September 2011. Available online at http://www.ash.org.uk/files/documents/ASH_801.pdf, retrieved 21 August 2012. 2. Clarke H, Prentice D. Plain packaging on cigarettes will work. Available online at http://www.latrobe.edu.au/research/downloads/plain-packaging-on-cigarettes-will-work.pdf, retrieved 21 August 2012. 3. Action on Smoking and Health UK. Tobacconomics: How big tobacco uses dodgy data to “throw sand in the gears” of global health policy. Available online at http://www.ash.org.uk/files/documents/ASH_774.pdf, retrieved 21 August 2012. 4. Germain D, Wakefield M, Durkin S. Adolescents’ perceptions of cigarette brand image: does plain packaging make a difference? J Adolesc Health 2010, 46:385-392. 5. Wakefield M, Germain D, Durkin S, Hammond D, Goldberg M, Borland R. Do larger pictorial health warnings diminish the need for plain packaging of cigarettes? Addiction 2012, 107(6):1159-1167. 6. Wakefield M, Germain D, Durkin SJ. How does increasingly plainer cigarette packaging influence adult smokers’ perceptions about brand image? An experimental study. Tobacco Control 2008, 17(6):416-421. 7. Hoek J, Wong C, Gendall P, Louviere J, Cong K. Effects of dissuasive packaging on young adult smokers. Tobacco Control 2011, 20(3):183-188. 9. Gendall P, Hoek J, Edwards R, Gifford H, Pirikahu G, Pene G, Thomson G, McCool J. Young Adults’ Interpretations of Tobacco Brands: Implications for Tobacco Control. Nicotine & Tobacco Research 2011, in press. 10. Hoek J, Gendall P, Gifford H, Pirikahu G, McCool J, Pene G, Edwards R, Thomson G. Tobacco Branding, Plain Packaging, Pictorial Warnings, and Symbolic Consumption. Qualitative Health Research 2011, in press.